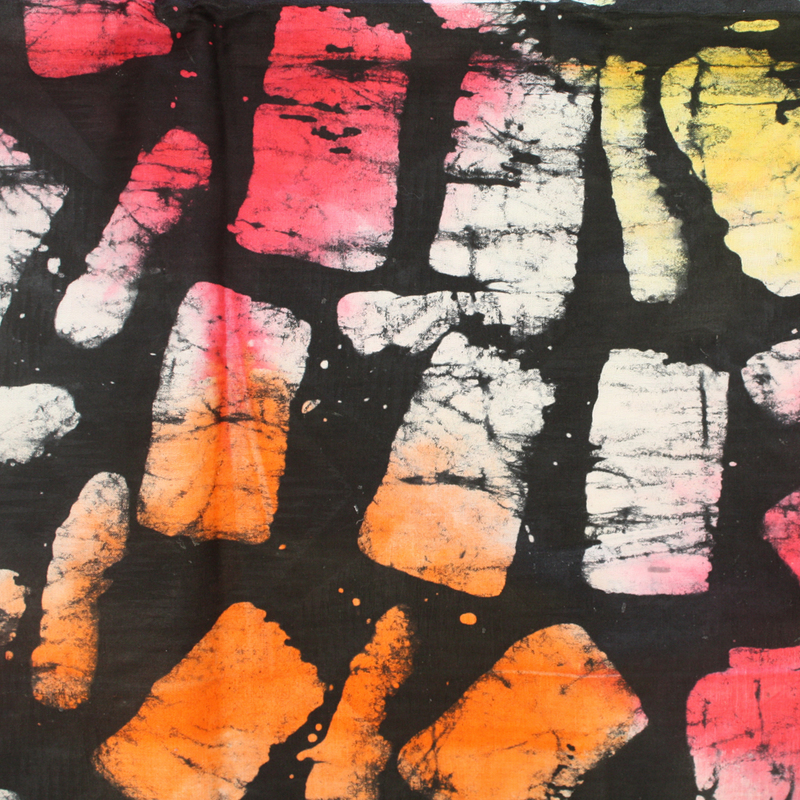 A modern batik fabric from Nigeria featuring a colourful brushstroke motif. 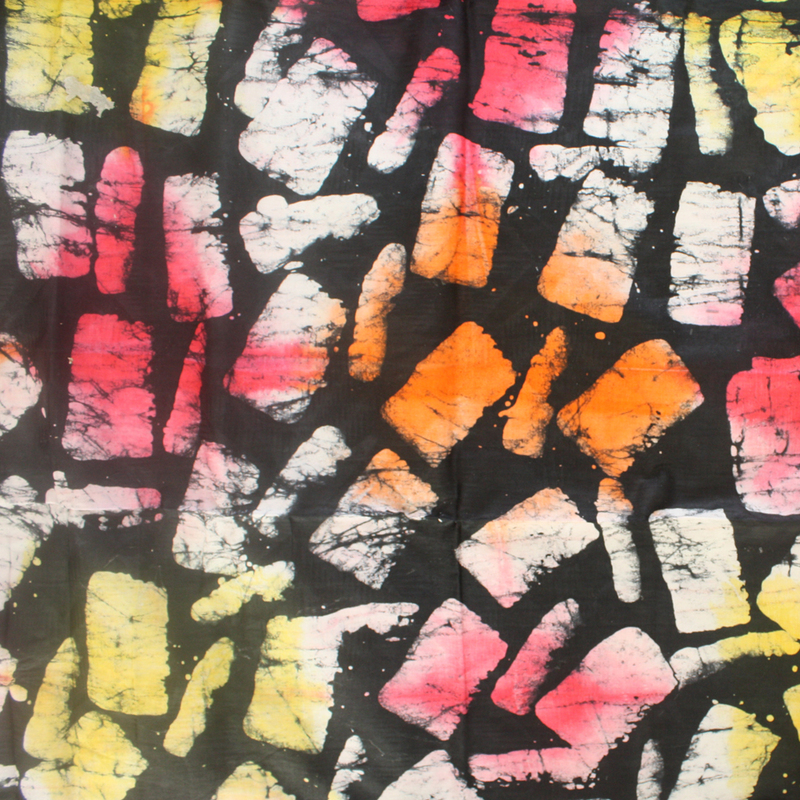 Pink, yellow and orange brushstrokes against a black background. 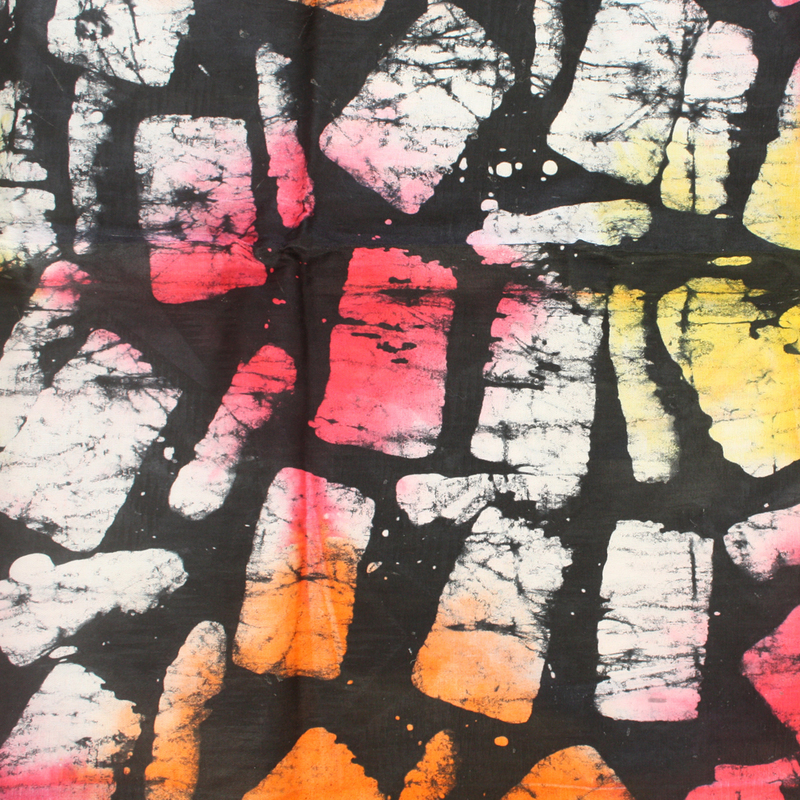 This design is a modern take on traditional batik fabric using hand-drawn, hand-dyeing techniques. 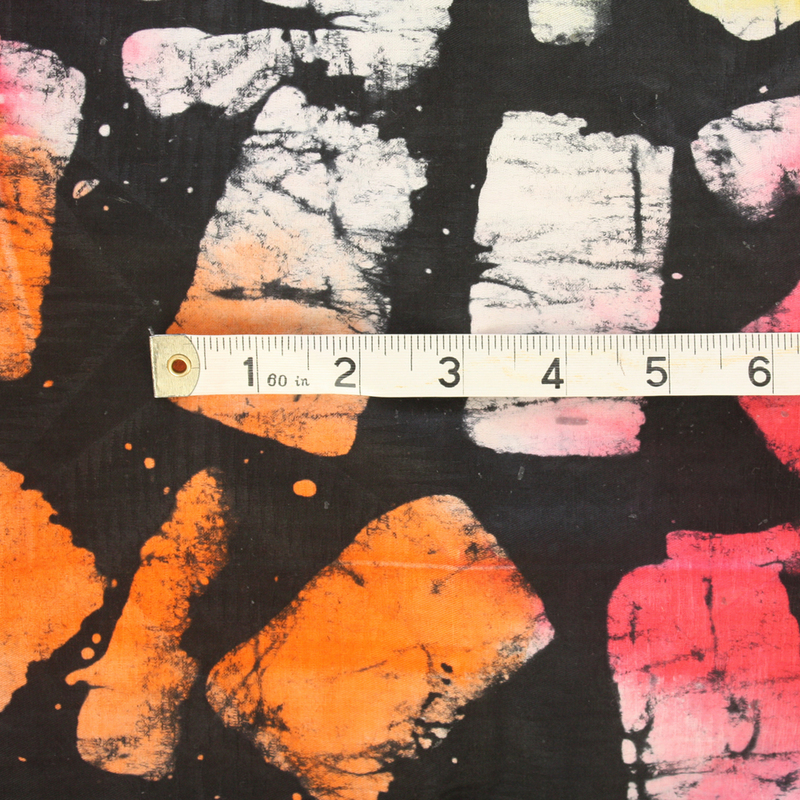 This is a 5 yard bundle, which gives you a continuous length of 5 yards of fabric.